Members and friends of Denver Presbytery gathered for our August Assembly Meeting at Elizabeth Presbyterian Church. It was a beautiful day and the church was warm and welcoming. Thank you to the Rev. Bruce Spear, Angela and Marc Grivas, Pat Mersich and Phil Wood for all your extra help making the meeting go so smoothly. Special thanks to Rev. 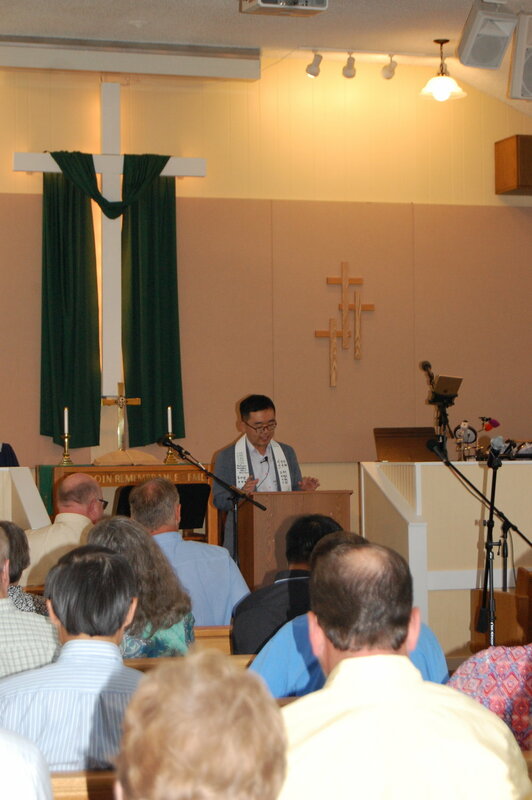 John Yu of True Light Community Church for sharing his words, listen to his sermon below. Highlands Presbyterian Camp & Retreat Center NEEDS OUR HELP!